Guys, i know it’s already posted in the “Targets” thread but this needs its own post. 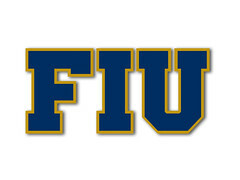 Get ready for the biggest commitment in FIU Football history. This class is going to blow Mario’s 2012 off the water and be by far our best ever. Looks promising, but I would wait. Let's see what the big new(s) is/are first and then go from there. The best part of landing a player capable of dominating is that it opens space for others maybe thinking about making that move to come to FIU, actually doing it. Let's see what this afternoon, evening brings in terms of recruiting news to Panthers faithful. I hope we give him some snaps at QB in spring. Seems like an athlete. Somebody enlighten me. I'm out of the loop when it comes to some recruits. I need name and details. We shouldn't over estimate the importance of recruiting at positions of need. This guy was at one time the number 1 Junior College DT in the nation. We all know how much we need DT's. Can't wait to see what he has to say about FIU and i'm praying that they sign on Wednesday, that would legit be a great Christmas present for our FIU Football family. It's official! Tayland is a panther! Awesome! This guy is huge!